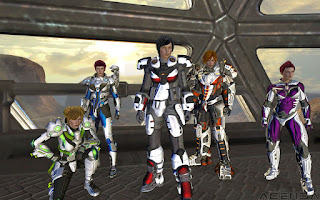 Hi-Rez Studios changed the subscription model of their MMO shooter Global Agenda to something more akin to Guild Wars. Now everyone may access the advanced features, as long as they buy the client. There's no need for any additional subscriptions or other payments, the players only have to buy the game and the optional expansion packs. However, Sandstorm, the first pack, will be made available free.